Previous Meeting: June 21, 2014 Dixie Rebels 31, Sting 3 The Dixie Rebels beat the Sting in the semifinals of the playoffs. WR Tanner Wood and TE Jordan Loo scored rushing touchdowns. Wood’s TD comes on a reverse, while Loo scored later on a one-yard dive. Last Game: Beat Utah Stealth 37-12 on May 16, 2015. Players to watch: The offense continues to roll. Misioala Tupe is having a league MVP season. When he is not gaining ground at 8.3 yards per clip, he is throwing to one of the many weapons in his arsenal. Dalton Groskreutz, Brennan Adams, Viliami Hafoka, Tanner Wood and newcomer Josh Ford can all catch, separate and score. Ford will not make the trip tonight. 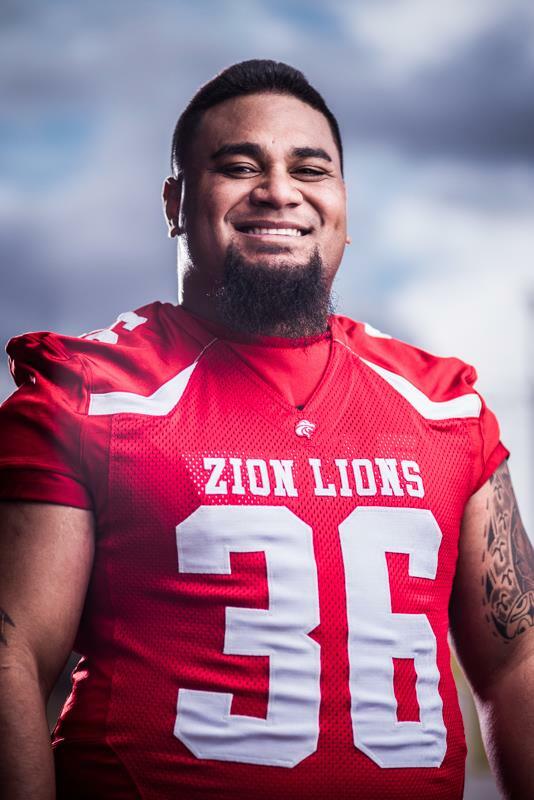 Sione Tapuosi is second only to Tupe in league rushing. The offensive line is the best in the league in both run and pass blocking. The Lion defense is rarely scored on. The Lions yield most of the opponents’ yardage and scoring with the second and third teams that play a majority of the second half. Defensive ends Vince Feula and Doug Roberts turn everything in where opposing rushers get to shake hands with Joe Feula and the Lion linebacking corps of Kaleo Teriipaia and the two Katoa brothers, Thor and Isaac. The defensive secondary of Trey Smith, Dom Vargas, Brandon Thompson and Ryne Wall defend the pass well and give great run support. On special teams the biggest hits of the year have been delivered by Nick Hafen. Trend: The Lions are playing just their second game in five weeks. They have not played a home game since May 2. Waiting for that first home playoff game carries the same joyful alacrity of the old Heinz ketchup commercials. The fans need their Zion Lions fix. They have played well on the road and Coach Stott has relayed that most of the team will travel today. Last Game: Beat the Idaho Matadors 40-0 on May 16, 2015. Players to watch: Brigham is quarterbacked by Brad Thurber. That name may be familiar to some. It is because he is also the league commissioner. His favorite targets are wide receiver Jordan Beyer and running backs Koby Spencer and Wes Rees. Rees and Spencer also lead the team in rushing. The Sting defense is led in tackles by linebackers Mike Messinger and Jimbo Adams. Free Safety/nickelback Greg Williams leads the team in interceptions. The line is anchored by defensive tackle Carson Myers and defensive end Keaton Criswell. Backup quarterback Rob Nadalsky did not travel this week, so protecting Tupe will be imperative. The last time these two teams met, Tupe was ejected for an alleged punch. After viewing the film, the league overruled the game officials and lifted the automatic suspension for the championship game. That being said, good teams don’t like to lose. The Sting was 7-1 when they took the 31-3 pasting last year. Coach Stott said then that the Sting got chippy toward the end of the game. The Lions need to stem any emotional retaliation and keep playing. With Nadalsky unavailable, look for Coach Stott to run Tupe less. Tapuosi and Michael Matalolo will either pick up his reps, or Tupe will throw more this game. The Sting have played well defensively, but have not been tested yet. These last two weeks, with games against the Lions and Wasatch Revolution, will say a lot about that defense. Lions will win easily, but this game will not be a blowout.